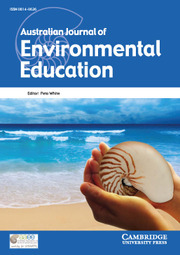 An internationally refereed journal which publishes papers and reports on all aspects of environmental education. It presents information and argument which stimulates debate about educational strategies that enhance the kinds of awareness, understanding and actions which will promote environmental and social justice. Does the rise of STEM education mean the demise of sustainability education? Education for Sustainability in Western Australian Secondary Schools: Are We Doing It? Why not education for the environment?